Friends and fellow anglers- For most of my life I have been fortunate to spend many days each year on the ocean. Each time I’ve left port I’ve done so with the knowledge that the United States Coast Guard would unquestionably be there if I needed them. Their motto is Semper Paratus- “Always Ready”, and without doubt, they always are. Our charity, the Oregon Tuna Classic, depends on the reassurance that should anything go wrong with our participants, our allies at the USCG will rush to their aid. It doesn’t matter who you are, or what the reason, they will be there if you’re in distress on the water, beach, cliff, river, or rooftop. 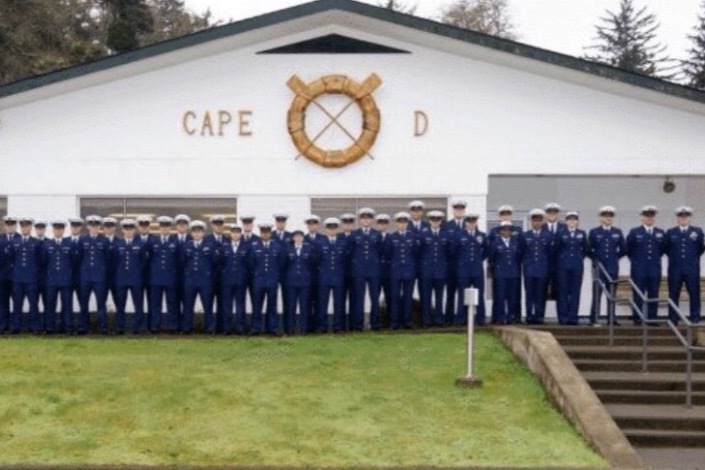 Two of my very close friends that are in command of USCG Motor Lifeboat Stations here in Oregon, and I feel fortunate to know others that Command other stations and work in other capacities. While they would be the last to ask for help, I’d like to ask on their behalf. The Coast Guard is made up of many young men and women that are not in the financial position to miss paychecks. Things like electric bills, house rent/mortgage, credit cards and other things still need to get paid. My friends in command are making phone calls on behalf of their crews to buy time and leeway. As we all know, it can be difficult to recover from missed or late bills. If you've had the opportunity, like Mike has, to meet or develop relationships with the crew from some of these stations then you understand the passion and dedication they have for what they do. It's that appreciation that brings this call for giving and your chance to help those in need. Mike, Myself and The Oregon Tuna Classic are asking for your help providing funds to help these local crew. 100% of all proceeds will be given to the USCG stations in Oregon and SW Washington where we have had operated our events. These funds will go directly to supporting their crews during and even after they start to receive paychecks again. This is the chance for any boater to provide some help back to those that are always ready to help us. As an individual, a few dollars doesn’t go far, but as a community we can make an impact to help those that are so very important to us. Whatever you can do will be much appreciated. Thank you for your support.